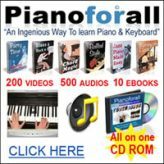 Yamaha MOTIF keyboards questions and answers. Welcome to the Yamaha MOTIF Keyboards forum. Ask questions and share views/reviews about Yamaha Motif keyboards. Respond to the questions of others. (Go here to shop for a Yamaha Motif. Have Any Yamaha MOTIF Keyboards Related Thoughts For Discussion? Yamaha MOTIF ES6 files to MO88? Why won't my sustain pedal work how it's supposed to? 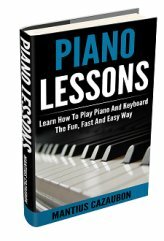 What is the lubricant used in Yamaha Motif keyboard? my B key below middle c is sticking. How do I fix this? I unloaded my Yamaha Motif ES8 and powered it up and the display screen is only showing the top half and nothing on the bottom...any idea? How can I get a new data wheel for a Yamaha Motif Rack? Yamaha Motif XS8. I have problem with the voice bank.... What should I do? Sheet Music Stand for Yamaha Motif XS8? I urgently need a Yamaha motif xs6 power supply board, part no. is WG978900 Any help appreciated!!!! Top of Yamaha MOTIF Keyboards page.